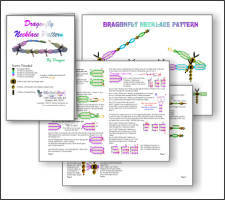 Beaded Dragonfly Choker Necklace Pattern and Kit! This necklace when completed is 13 to 16 inches long. You can easily change the length of this necklace.